Now an annual event for children from Island schools the World War 2 Experience has taken place. 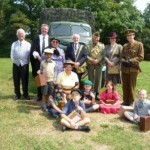 Based at Havenstreet’s Isle of Wight Steam Railway this event allows children to discover what it was like to be evacuated during the Second World War. 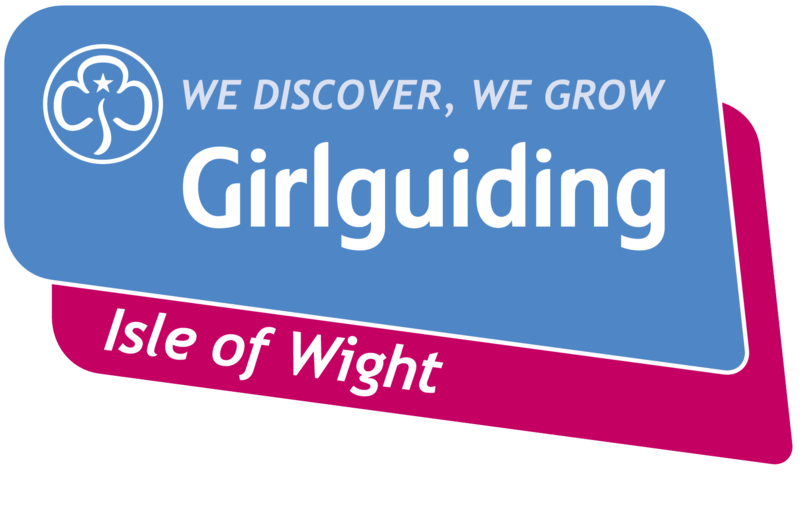 Several Brownies from around the Island attended this event with their school classes and teachers. Havenstreet Station was transformed to replicate a wartime station and children undertook activities relevant to their evacuation. 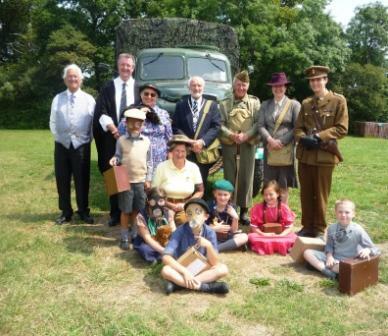 Organised by Isle of Wight Council’s heritage service, the event recreated the scenario that tens of thousands of school children went through over 70 years ago. Pupils and staff from the schools dressed in wartime clothes and arrived at the IW Steam Railway with gas masks ahead of a ride on the train, mirroring the experience from the war years. Once on board the train they were waved off from the platform, giving them a real feeling of how it was for children to be evacuated all those years ago. Pupils tasted authentic wartime food, such as eggless cake and paste sandwiches and learned about rationing and make-do-and-mend toys. As happened during the war their school lessons were interrupted by an air raid siren and the pupils then marched into the air raid shelter. Of course the organisation of moving children from one town to another was well planned during the war years. Teams in towns and villages were made up of members of the WVS as well as local Council officials. During the event Cllr. Charles Chapman visited and really entered into the spirit of the event, dressed in pin-striped suit, as the local councillor responsible for placing children with their ‘new’ families. This event was featured as a BBC TV South news item during the week when the event took place as part of the BBCs Breakfast programme.